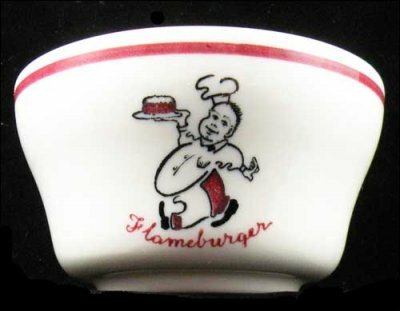 This fabulous bouillon cup was made in 1958 for Flameburger, the Minneapolis-based restaurant chain that serves burgers and breakfast all day. 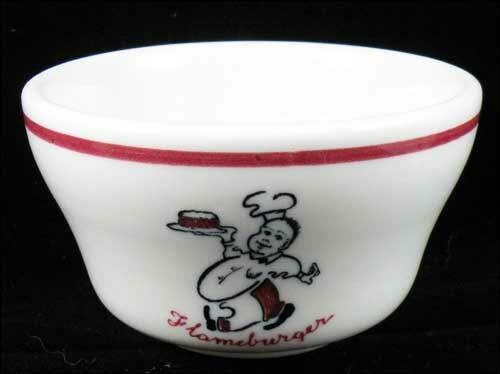 Flameburger has been in business since 1955, so this cup was produced early in its history. It's a family-owned business, first located in Falcon Heights, home of the Minnesota State Fair and the University of Minnesota St. Paul campus. 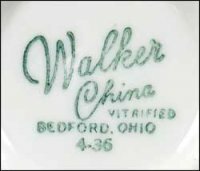 This price is for one cup, but there are currently eight in inventory - all in excellent condition. They are almost 3 3/4" in diameter and 2 1/4" tall. If you order more than one, you will be charged more than necessary for shipping, but I will refund any overpayment through PayPal.